Are you looking to play paintball in Woodford? 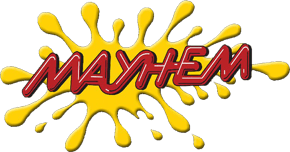 look no further Mayhem Paintball is a UKPSF accredited site (UKPSF is the UK’s governing paintball body) with the very best facilities Mayhem Woodford has a 5 star rating and has one Best UK Venue recently. Mayhem is only a 10 minute car journey away just the other side of Chigwell or you can jump on the Central Line to Theydon Bois where we do a free collection and drop off to and from the station and you will be here in no time at all. Mayhem Paintball provides an action packed day of excitement, you will be playing on our Call Of Duty style maps, defeating your opponents whilst being guided through the day by our helpful and experienced staff. We have 16 fantastic playing areas ranging from the Urban with, cars, tractors and our indoor barn (this area is floodlit along with others). Missile command, with a range of helicopters, tanks and missile objectives.. And don’t forget our very own Call of Duty replica map! I recommend coming down to our site, I can guarantee you won’t find another paintball site like Mayhem within at least 100 miles.